I have developed an unfortunate phobia around my viewing of the first film of the new year. I give it some undue portent as if it’s going to set the tone for everything I see over the following twelve months. “Begin as you mean to go on,” as such. Sadly, from prior experience, it seems whatever movie I choose inevitably stinks. This year, I allowed my expectations to be raised; this time would be different. The Himalayas is a box office smash in its native South Korea and with titles like The Throne, Assassination and Veteran, my SK movie scorecard was pretty high in 2015. The fact that it starred Hwang Jung-min, who is on a streak with the award-winning hits, Ode to My Father and Veteran, gave me confidence that The Himalayas would be a safe bet for an actual enjoyable first movie experience of 2016. That’s what I get for hoping. Mountain climbing, it’s a thing. People do it. People break records at it, too. When the opportunity to become the first Asian to climb fourteen of the highest peaks in the Himalayas presents itself to lifelong alpinist, Um Hong-gil, he goes for it. First, he’s gotta assemble a crew. Besides his usual bank of trusty, experienced hands, he takes on two newbies including the stubborn, ambitious Park Moo-taek, who dreams of “conquering” the mountains. His egotistical delusion is quickly and thoroughly shattered by Hong-gil, who hazes the would-be climber into respecting the peaks for their power and majesty. The mountain itself teaches the young feller its own lessons as their climb pitches the pair into danger. 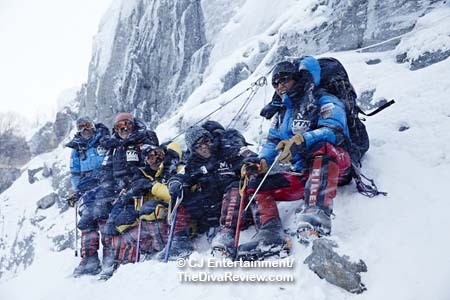 Having lost expedition members along the way, the two face avalanches and the innate unpredictability of nature and circumstance while attempting to scale the face of the alp. When they reach the summit, it’s a joyous moment that ultimately spells Hong-gil’s retirement due to old injuries, but fires up his apprentice, who captains his own treks up the mighty range. 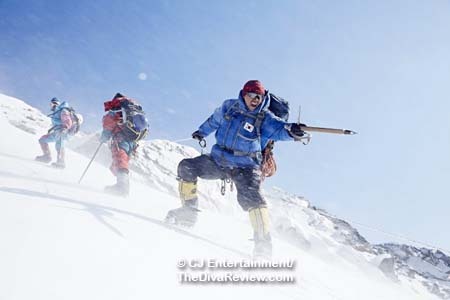 One such excursion leads to every mountaineer’s nightmare as Moo-taek is lost in bad weather, with Hong-gil too out of shape and infirm to help his friend. Puerile, manipulative, schmaltzy and cheap-looking, The Himalayas is not only one of the worst Korean films I’ve seen in ages, but one of the worst films I’ve seen in a long time. The simple-minded script is cheesy and predictable to the point of being downright insulting. There is no cliché they can’t make room for. No such thing as a plot twist need apply. This is so blatantly an attempt at creating a crowd-pleasing formula, that it makes the work of “feel-good movie” hackmeister, Chris Columbus look like dark, cutting-edge, indie fare. This was two long hours of witless saccharine that had me reaching for insulin as I clung to those precious IQ points that seemed to be vacating my brain while watching this. For a movie about the world’s most famous and daunting mountain range, I would never have expected The Himalayas to have some of the shabbiest production values I’ve set eyes on. I’d have expected reels of grand landscapes and exhilarating cinematography, but got cheap, quick-cut camera tricks and ultra-tight close-ups in tents that looked as if they were in a cozy Seoul studio. How do you make the freaking Himalayas look bad? This chintzy aspect - along with no discernable action sequences - took from the danger we are meant to feel for the characters’ climbs. If I am under the impression you’re on a soundstage, then I’m not fearing that you might plummet to your death nearly 30,000 feet above solid ground, am I? What there are of long range views of the mountains appears to be edited stock footage, or perhaps shot on friendlier Korean slopes. 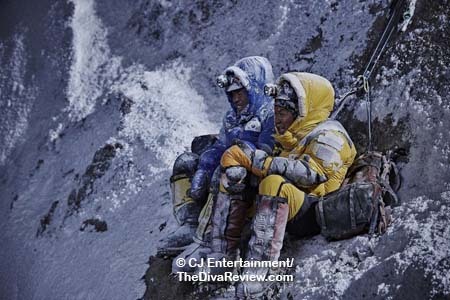 Another issue I had was that none of the climbers seemed to be as well-equipped for constant sub-zero temperatures as I am going to the grocery store on a chilly winter morning. So much exposed skin on faces, necks, hands, etc., was probably meant to enable us to see the actors’ faces and gestures, but did negate the threat of frostbite at every turn. I didn’t even see one scarf on anybody. I’m pretty sure they had scarves in 2001. Also, for a country as obsessed with skin care as Korea is, could no one have brought some Chap-Stick? The screenplay is terrifically witless and unclever, with set-ups that could have been written by third-graders: ‘Oh, no, Hong-gil, there’s a monsoon coming, you can’t keep going up the mountain. Turn around or you’ll die.’ ‘Whatever, I’m the hero of this movie, so I have to keep going.’ ‘Okay, Hong-gil, since you’re so great and we believe in you, we’ll all rally together and go, too.’ That is, until it’s inconvenient to the story and there’s some extra drama needed, but even then, it reverts back to form by the film’s end. There is so much spoken exposition of what the various dangers are; a monsoon is coming, we’re almost out of food, we’ve lost our Sherpas, that the viewer almost dreads what’s going to come out of the mouths of the axillary characters next, because by the third or fourth replay of the same scenario, we know it can’t be good news. The tear-jerking is shameless and unrelenting. It doesn’t matter if the team is in the middle of a perilous climb and there’s yet another storm heading right toward them (Are there no weathermen in Nepal? ), if our heroes need to have a sobbing breakdown to mourn their losses and loudly reaffirm life and their bond with each other, so be it. This dunderheaded script does less to memorialise the real life climbers and incidents on which it’s based than to make me shake my head at anyone crazy enough to voluntarily risk their lives in this way. After all, it’s not as if the cure for cancer is on the top of Everest. These are people who willingly put themselves in harm’s way for thrills and vanity, and in the cases of several of the film’s characters, to the detriment of their own families. 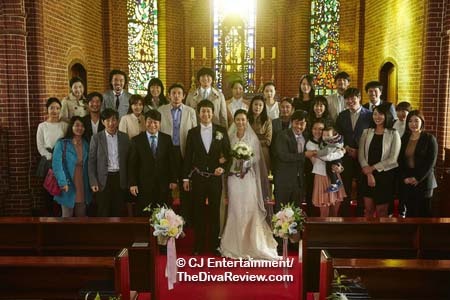 Perhaps sensing the film’s lack of a sympathetic connection to its action, director Lee Seok-hoon includes a scene where a documentary crew asks one of Hong-gil’s team exactly why they climbed mountains, and we don’t get a better answer than, “Because it’s there.” In a meta moment, this line is even acknowledged by the speaker as plagiarism. 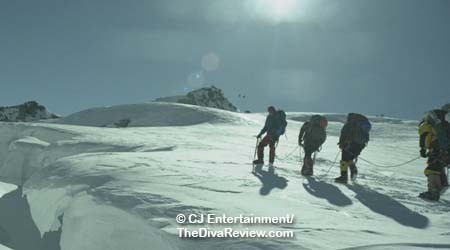 The Himalayas depends entirely on its cast to deliver the film. Led by Hwang Jung-min (As mentioned, having a banner year of blockbusters) whose own natural, laid-back persona is made slightly gruffer for a nanosecond as his Hong-gil tries to whip his newest crew members into shape, but falls back into that easygoing presence (I’m starting to wonder if he’s not just being the same in every film?) after smoothing out the rough edges of his relationship and bonding with the impulsive Moo-taek. 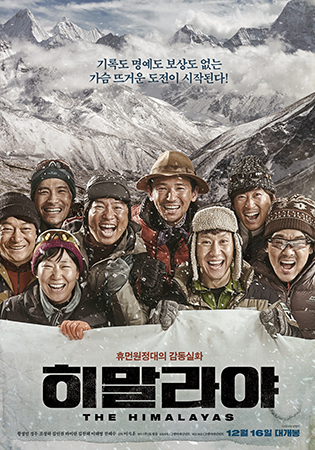 Surrounded by a group of other pro actors, the good-natured camaraderie that Hwang seems to project in every movie is The Himalayas’ sole grace, but that’s not meant to be the main lure of this film - despite the movie’s own marketing giving the impression of some sort of mountainside buddy comedy. Ostensibly, this is the biography of the real Um Hong-gil, a man who made history, and the triumphant and tragic events that shaped his life. That The Himalayas has been reduced to a cheap-looking collection of schmaltzy clichés packed into a witless, braindead script, shames everyone involved with this mess. If only someone had pushed the film cans for The Himalayas off a mountain, we’d be all the better for it.